Ahead of our 50th anniversary celebration on June 24th at the Harris Theater Rooftop, we open our archives to the Chicago public with the exhibition “Kartemquin Films 1966-2016: Democracy through Documentary” opening on May 21st and running through August 20th at Expo 72 (72 E. Randolph St, Chicago, IL, 60601). RSVP here to join us for the opening night reception and preview from 5:30 p.m. to 7:30 p.m on Friday, May 20. For the first time in our history, Kartemquin has sorted through over 30,000 elements to curate an exhibition spanning the evolution of the film collective and of documentary filmmaking itself, including the creation of classic films such as Inquiring Nuns (1968), Hoop Dreams (1994) and The New Americans (2003). Equipment, film stills, photographs, documents and more will be on display, with the exhibit continually evolving throughout the three month run as KTQ staff will drop in to add to and reflect on the display. Additionally, KTQ staff, associates, and filmmakers will host intimate dialogues and talks about filmmaking, social justice, and creating democracy through filmmaking. The full lineup of gallery talks can be found below, with more information about each talk at www.ktq50.org/exhibit. We hope to see you at our opening night celebration on May 20th or during the exhibition run at Expo 72, and also on June 24th for our unmissable #KTQ50 Birthday Party! July 21, 2016, 11:30 AM: Ryan Gleeson/Peter Kuttner; Peter Kuttner will discuss the process of saving Trick Bag after a fire destroyed much of the original material. Moderated/Facilitated by Ryan Gleeson. August 6, 2016, 1:30 PM: Ife Olantuji; A Preview of the Collective Voices Ethnographic Film Festival and the Role of Diverse Filmmakers in Chicago. August 13, 2016, 1:30 PM: Ife Olantuji; A Preview of the Collective Voices Ethnographic Film Festival and the Role of Diverse Filmmakers in Chicago. More talks will be added throughout the summer, so keep checking www.ktq50.org/exhibit and follow the #KTQ50 hashtag on Twitter for updates. 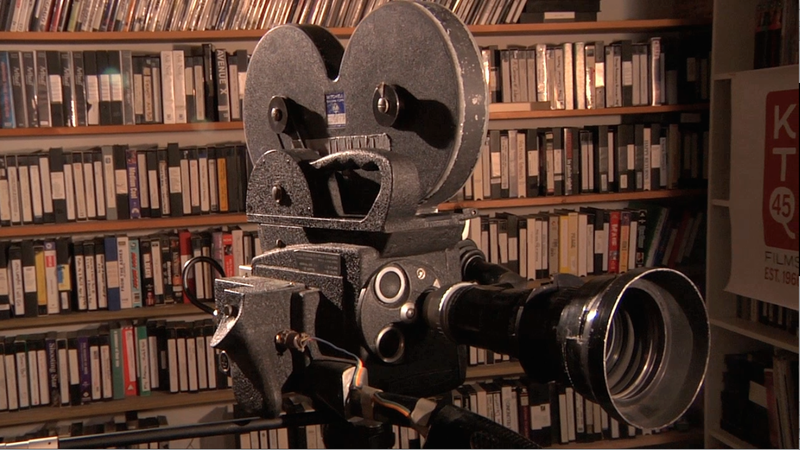 Kartemquin Films at 50 years from Kartemquin Films on Vimeo.